I am using a Linux Server with Plesk administration software (CentOS 7.6 and Plesk Onyx 17.8). 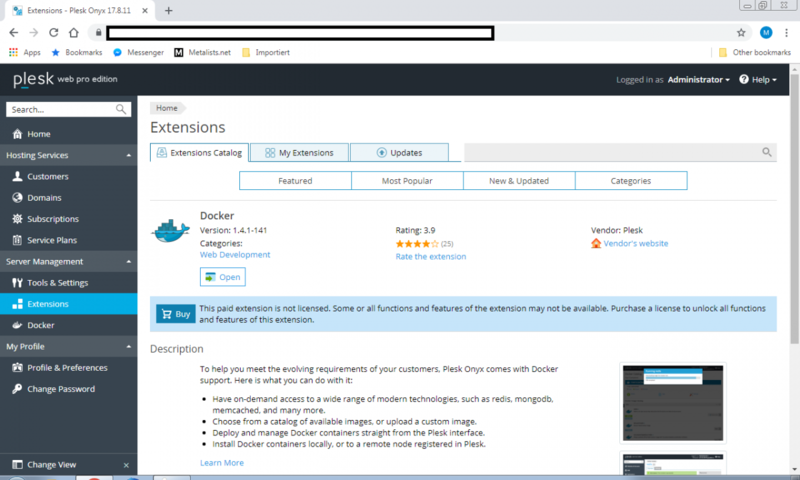 With Plesk, NodeJS and Redis Cache (Docker) comes along as free extension that has to be installed by only one click. 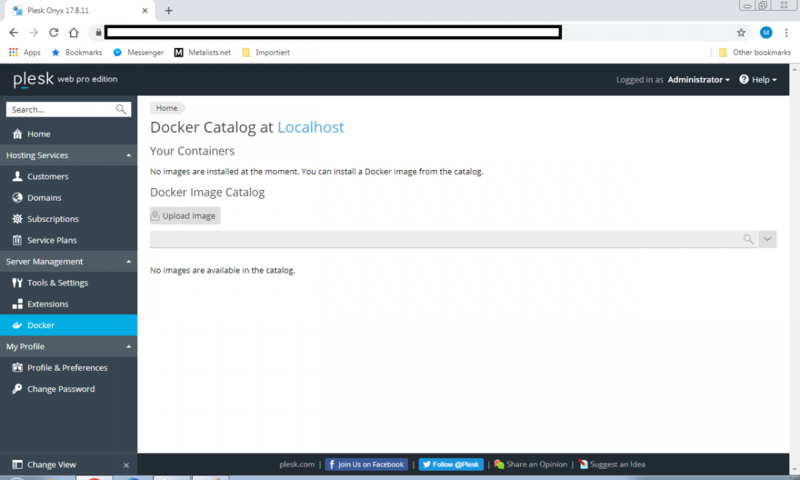 Does anybody know how to install and configure NodeJS and Redis Cache with Plesk to get running the Instant Messenger? I searched this forum for Plesk, but it seems, nobody uses Plesk, which is weird. thanks for the explanation, but Plesk is at version 17.8.11 at the moment and nodejs and redis comes along in an extension, than can be installed by only a few clicks, no need to open a shell or command line. I would like to know, how I can set up everything with Plesk extensions? Maybe I should open a ticket at Plesk forum, as well? I have attached some screenshots to show how it looks like in Plesk. Note: if you're our client, you will have an account to log in. It is working awesome...this is what I used...although it was awhile ago so hopefully I have everything. Also to log into your server for a command line you can use something like Putty for windows (you put it on you home computer to connect to your server. You enter your ip address and then when connected to your server you enter the username root and your password. Here is a link for putty that I think I used...not sure though...it has been awhile. Any updates? Did you have solution to setup IM on your server? not yet... 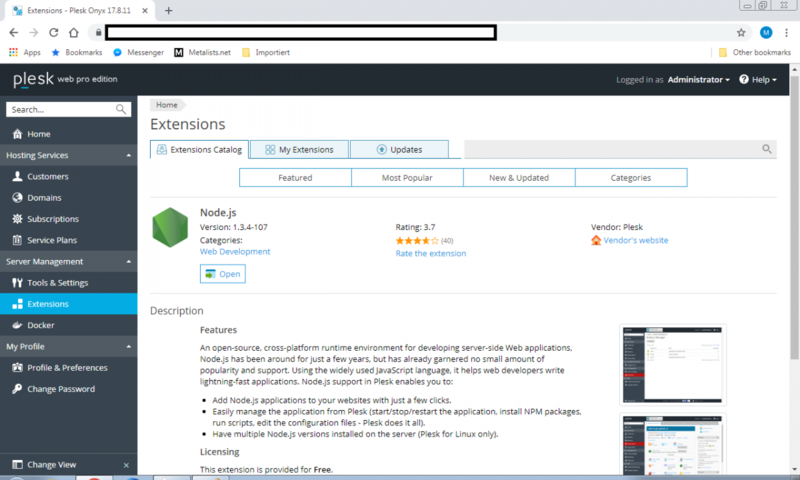 I am still searching for some help to set up NodeJS on CentOS 7.6... The documentation from phpFox is for Ubuntu Linux Servers only. I am using SSL on my domain. How do I configure the config.js file with SSL from Let's Encrypt via Plesk? I don't know the path to private_key and the path to the certificate. As we know, if you run Let's Encrypt via Plesk or Terminal (Shell), it will generate auto configuration into your Apache/nginx configuration file, please find your configuration file to see paths of keys.